Added by Rich Reitman on May 21, 2018. 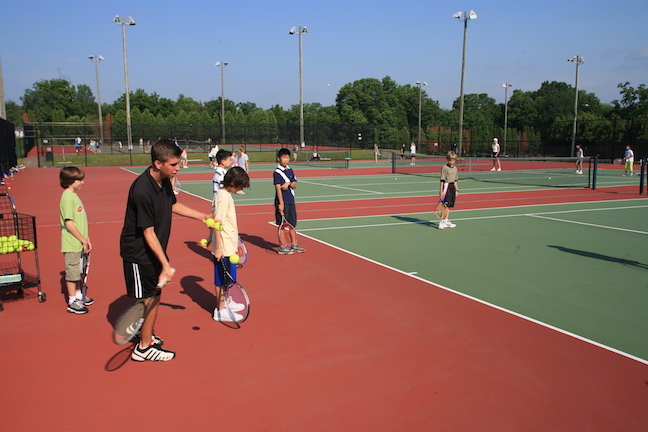 Tennis lessons are set to be offered by the Somerset County Park Commission this summer. Photo: Somerset County Park Commission. The Somerset County Park Commission will offer a one-week tennis lesson course at Colonial Park starting July 9. The cost for the lessons is $70. The lessons will run from 9-10:30 a.m. Registration applications will be accepted at the Green Knoll Tennis Center on Garretson Road in Bridgewater. Registration forms are available at each Tennis Center or by calling 908-722-1200, ext. 5021.